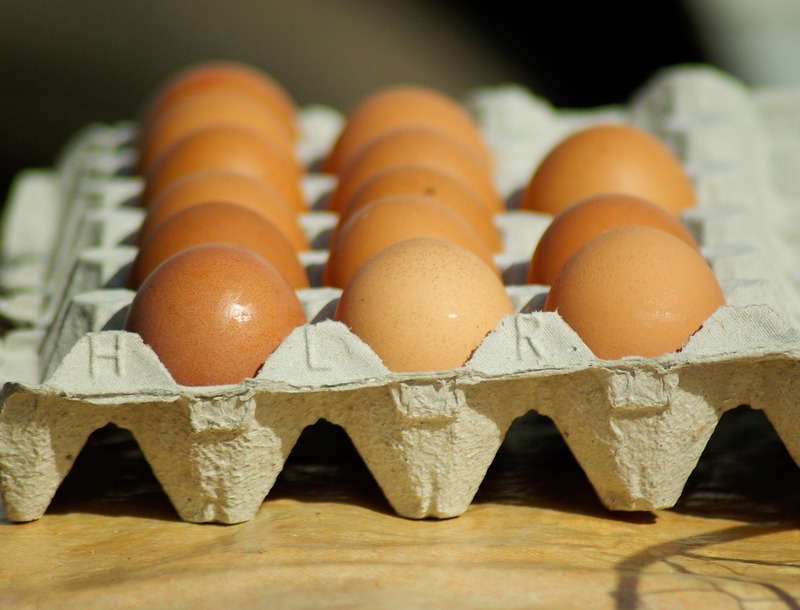 I heard on K-Love Radio this morning that egg prices are rising due to some sort of bird flu scare? I don’t know a thing about that because we buy our eggs locally – from free-grazing, grass and bug eating farm chickens! They look like the eggs in this photo! Last summer I had an assortment of leftover veggies in the produce bin, an abundance of eggs, and some cheeses – I decided to try my cooking skills and build a frittata. It was delicious and now, thinking back, I’m due to make another! Hope you’ll try this! Beat together the eggs with s and p, (do not overbeat; just mix until eggs mostly come together.) Stir in the cheeses and set aside. If using hot sauce, stir it in now. In a large, ovenproof non-stick skillet, melt butter over medium-high heat. Add the onions and cook for several minutes, stirring frequently, until the onions are soft and golden brown. Add diced potato, sprinkle with s and p and stir to cook with the onion for a couple of minutes. Add the greens and stir for one minute. Finally, add the roasted red peppers and olives and stir until everything is HOT. Make sure all ingredients are evenly distributed across the bottom of the skillet, then pour in the egg mixture so it evenly coats everything. Let sit on the burner for less than a minute to set the edges, then put the ovenproof skillet in the oven. Watch the Frittata as it cooks. Let it cook in oven for 10-12 minutes until the eggs are set but remove before they brown very much across top. Slide the Frittata out of skillet and onto a cutting board. With long serrated knife, slice into wedges and serve warm with fruit or whatever side you wish. Note: Use any ingredients you want! Ideas: mushrooms, leeks, different types of cheese, tomatoes, zucchini, squash, bell peppers. Clean out the ‘frig! And, if you’re like my blogger friend Wendy Speake add bacon, lots of bacon! *Disclaimer: I have no idea where I got this recipe but it is NOT original! Sounds like a good frittata! I’m not much of a cook – mine usually ends up being an omelet with cheese and ham or some other meats. In fact…hmmm, I haven’t had breakfast yet! That sounds like a great idea!!! Barb, me too, until I followed this and it was a perfect Frittata! You had me at bacon! 😛 I will have to totally try this. Eggs are always something that I have in the fridge. I like bacon too – just try not to eat it very often! Awesome recipe. I pinned it for later. I think even kids would like it! In Spain, they’d call this a ‘tortilla’. It looks tasty–thank you for sharing! Hmm. I can go home now – I learned something new today!